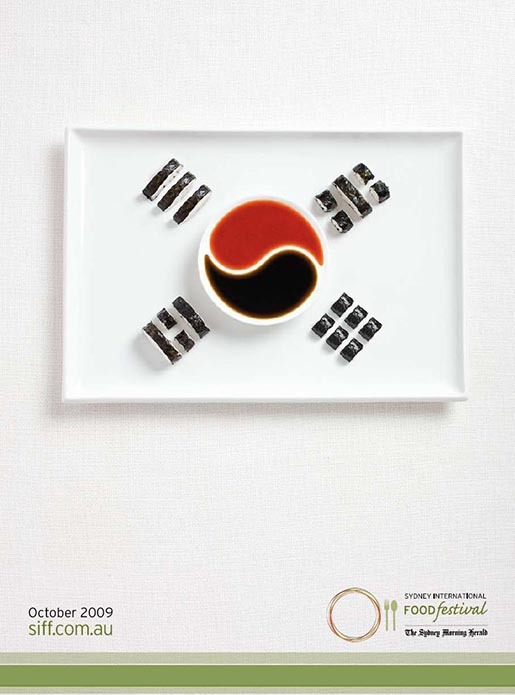 Sydney International Food Festival, presented by Citi, is being launched in October 2009, a celebration of the Sydney food scene. 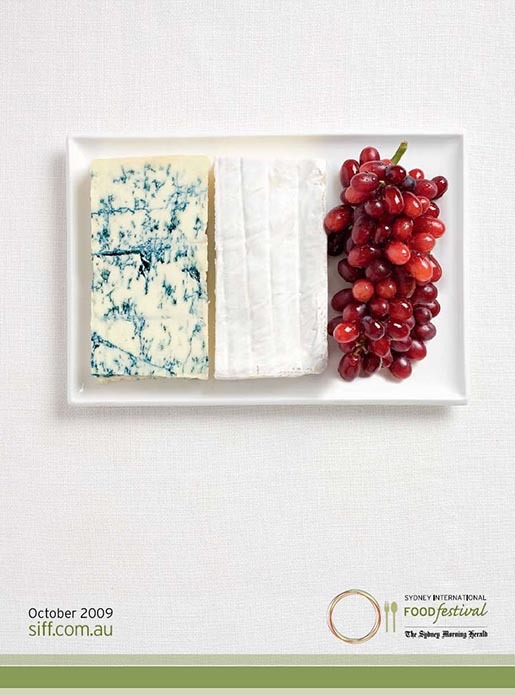 Included in the month’s activities is the World Chef Showcase weekend (October 9 – 11), combining cooking demonstrations, talks and tastings with top chefs from Sydney and around the world. 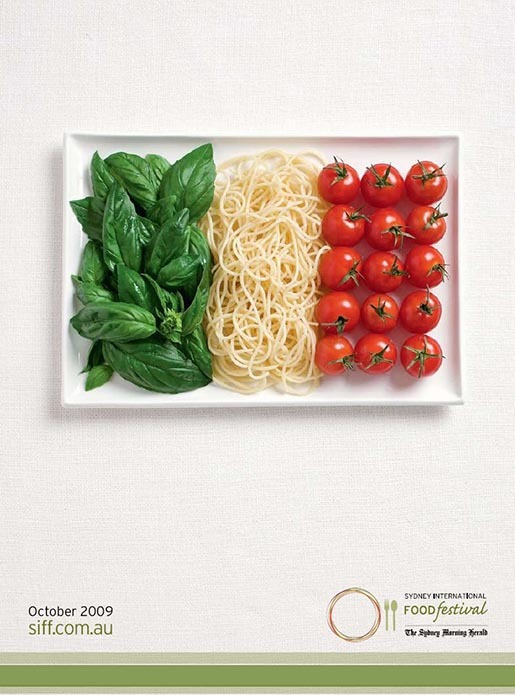 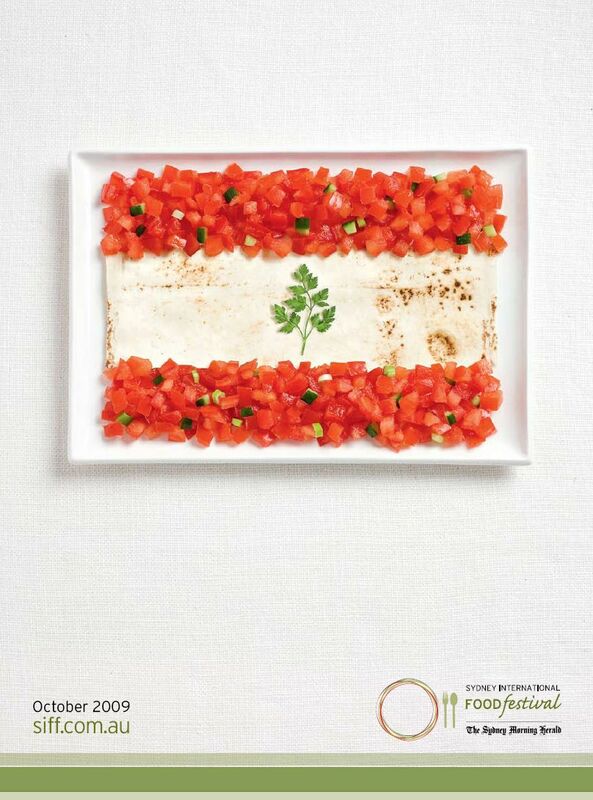 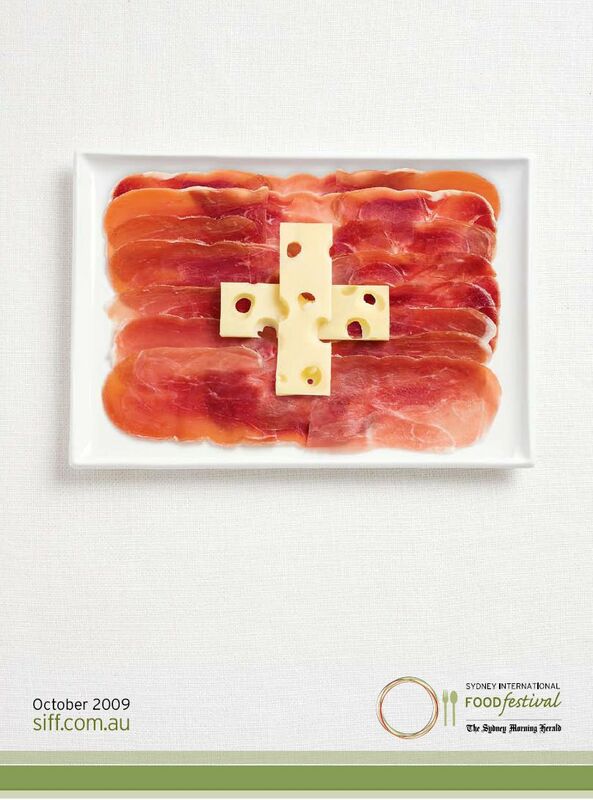 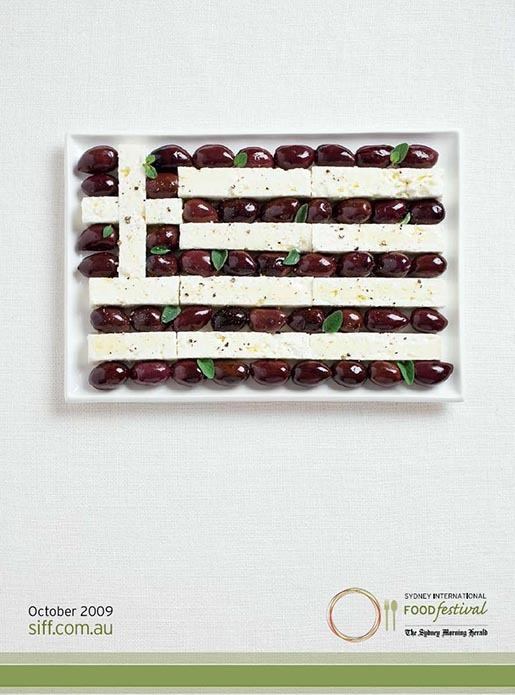 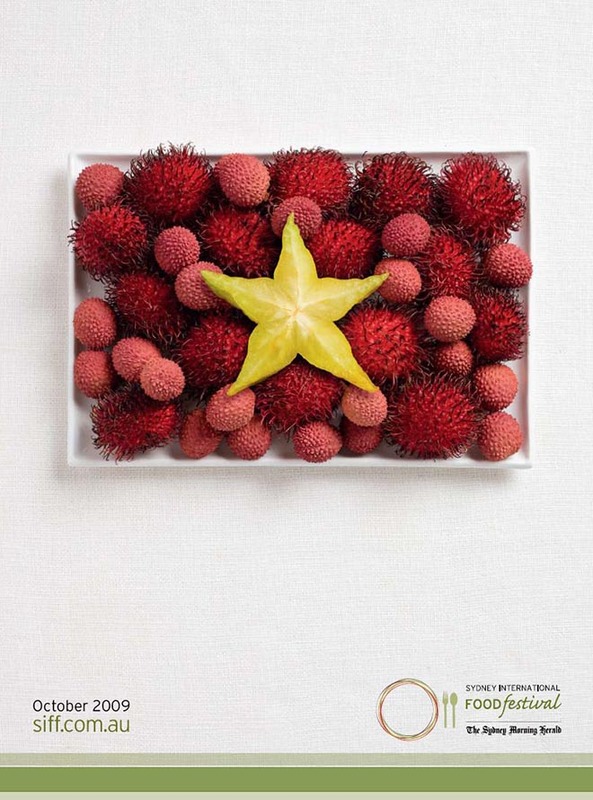 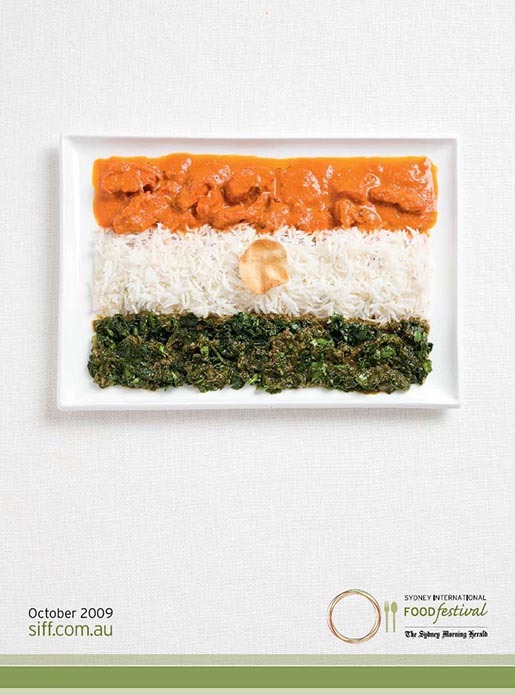 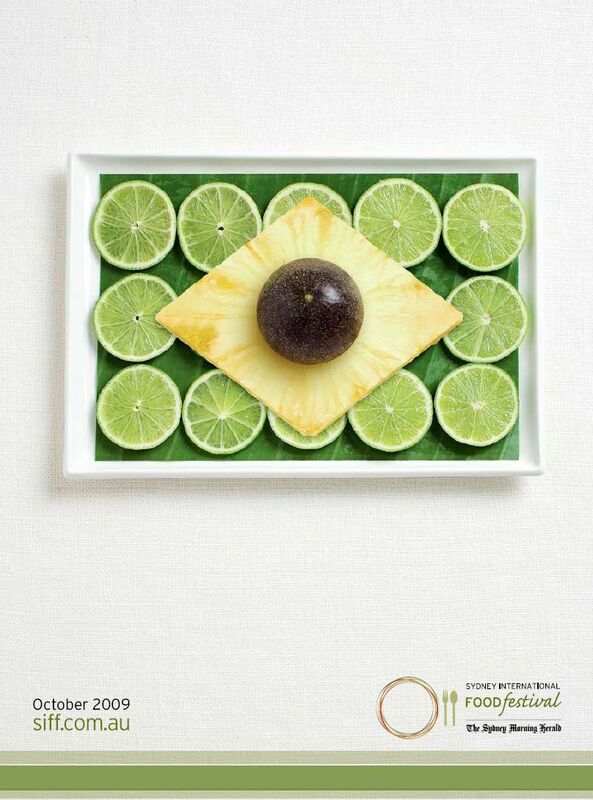 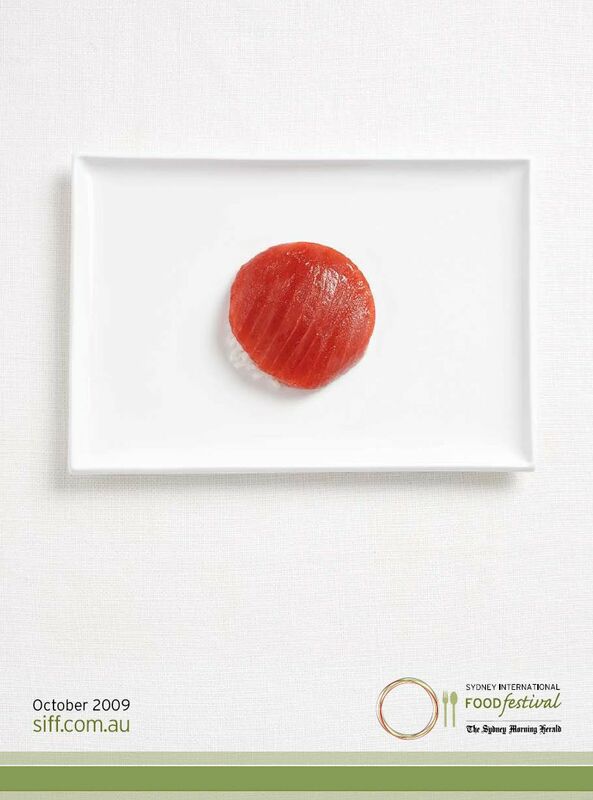 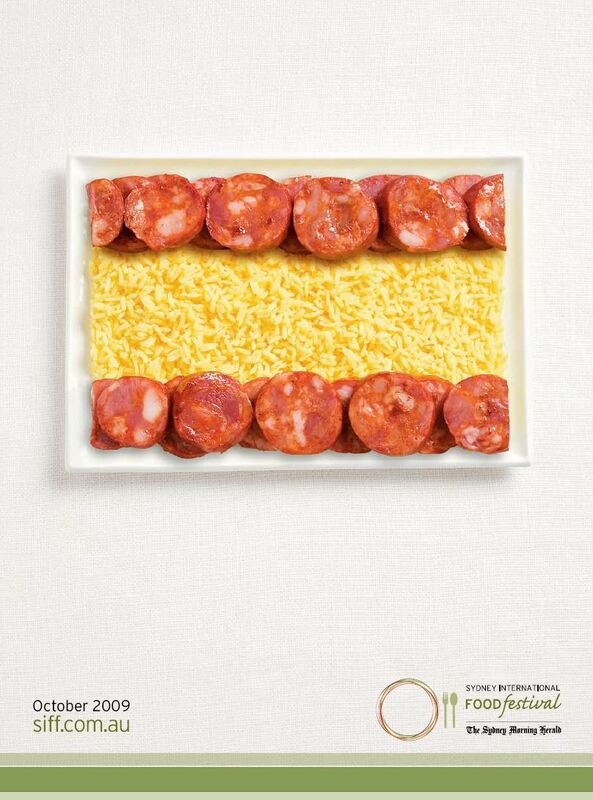 Whybin TBWA has produced a print and online advertising campaign featuring dishes representing the flags of twelve different countries: Australia, Brazil, France, Greece, India, Italy, Japan, Korea, Lebanon, Spain, Switzerland and Vietnam. 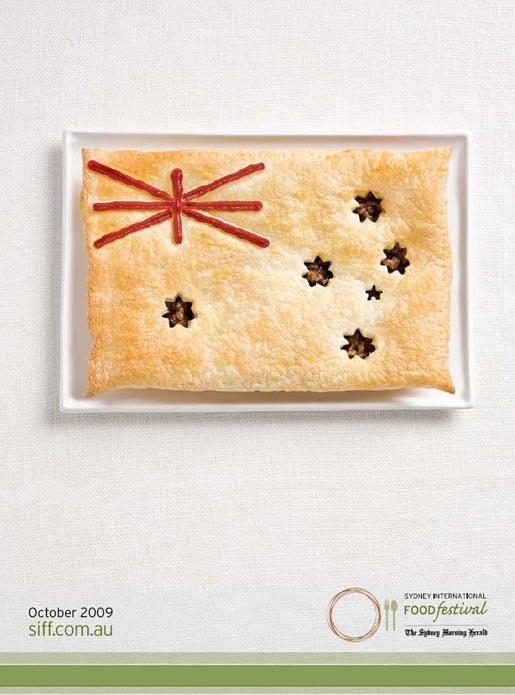 The Flags campaign was developed at Whybin\TBWA, Sydney, by executive creative director Garry Horner, creative director Matt Kemsley, art director Miles Jeffreys, copywriter Tammy Keegan, photographer Natalie Boog, retoucher Nick Mueller and food stylist Trish Heagerty.